Say hello to Owen, he is a laidback fella who is waiting to find his perfect forever home! This beautiful Boxer pup has been vet checked, is up to date on shots & wormer and can be registered with the AKC. Oklahona also comes with a 30 day health guarantee provided by Elmer Lapp. 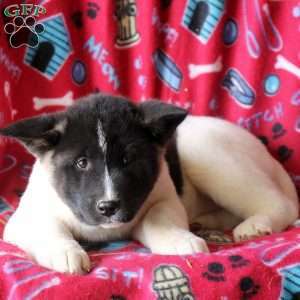 To learn how you can make this sweet pup all yours, please contact the breeder today. 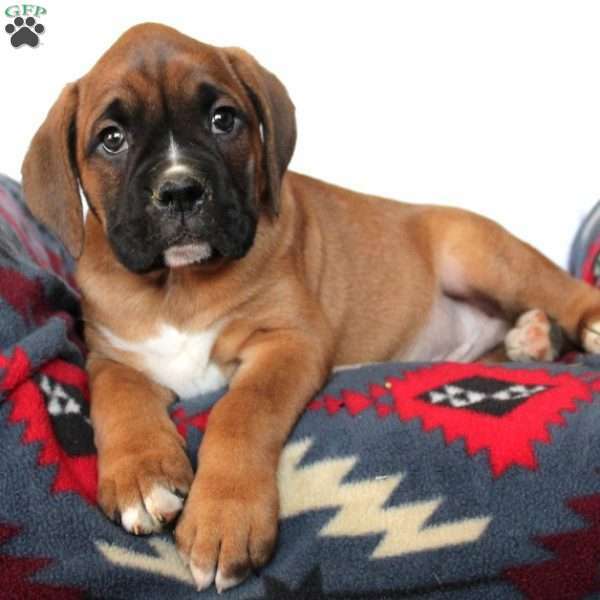 Elmer Lapp is a breeder located in Quarryville, PA who currently has a litter of Boxer puppies. 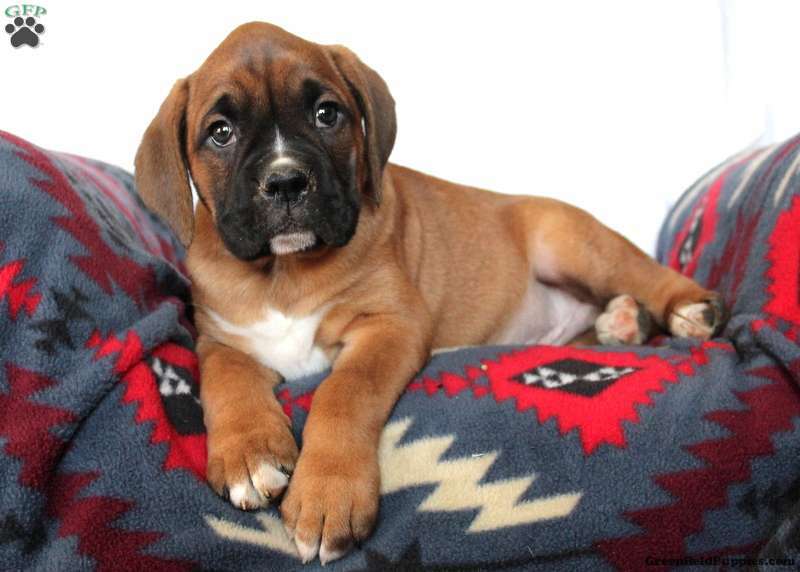 These beautiful pups have laidback personalities and can be registered with the AKC. To learn more about these cuties, please contact the breeder today.